The Southern food at Red Rooster is fine. Some things are even really good. But that’s not why you come to this now-legendary spot in Harlem. You come because few restaurants in this city feel as alive as Red Rooster - the atmosphere is incredible. The bar area is mobbed, the DJ is spinning funk and soul tunes (or come on a Sunday, and the jazz band will be jamming), and people generally appear to be having a blast. Whether you’re here for brunch or a late-night dinner, it’s going to feel like the kind of party where you actually know people. As for what to order - besides plenty of drinks, you need the cornbread on your table. Multiple orders of it if there are more than two of you. The fried chicken is also solid, although not worthy of the crazy hype around it. But really, the best way to do Red Rooster is to come with a group, order a bunch of snacks, and just take this place in. It’s an experience worth the trip. 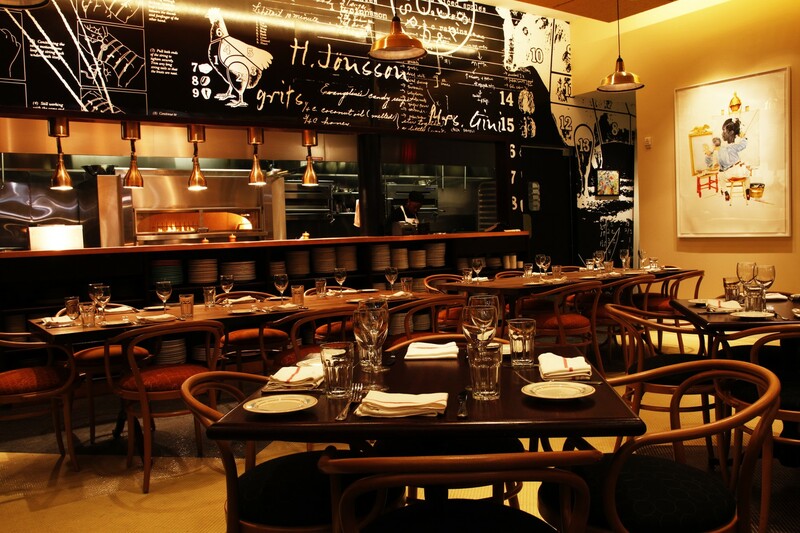 David Burke Kitchen is not the place to have an incredible farm-to-table experience.